The second season of Donald Glover’s FX show premieres March 1. FX has shared a new trailer for the second season of Atlanta, titled Atlanta: Robbin Season, ahead of the show's premiere on March 1. Watch the minute-long clip above - it features appearances from the show's creator and star Donald Glover, Keith Stanfield, Brian Tyree Henry, and Zazie Beetz. The new trailer follows two teasers for the show. 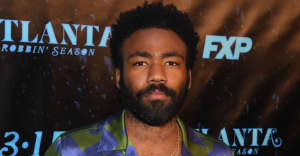 The first season of Atlanta won Emmys for Best Directing for a Comedy Series (Donald Glover) and Best Lead Actor in a Comedy Series (also Glover).